Home › The Bible Re-Viewed › How Big is the New Jerusalem? The last two chapters of the last book of the Bible—Revelation—describe the holy city, the new Jerusalem, coming down out of heaven from God. The new Jerusalem is not a physical city. It is not going to literally descend onto the earth. If it did, its top would stretch hundreds of miles beyond earth’s atmosphere into outer space. People living there wouldn’t be able to breathe! Everything John described in the book of Revelation, he saw in the spiritual world, not in the material world (see Revelation 1:10; 4:1–2; 17:3; 21:10). Even if we interpreted the book of Revelation literally, there would be no reason to believe that what John saw happening in the spiritual world will take place in the physical world. It helps to understand that “heaven” and “earth” could also be translated “sky” and “land.” What John saw visually was not really a new heaven and a new earth, but a new sky and a new land: the sky and land of the spiritual world. But what I’m most interested in right now is how big this new Jerusalem is. The angel who was talking to me had a gold measuring rod to measure the city and its gates and walls. The city is laid out in a square, its length equal to its width. He measured the city with his rod at 12,000 stadia. Its length, width, and height are equal. If we convert the ancient “stadia” into modern units of measurement, it turns out that the city is about 1,400 miles (or about 2,200 kilometers) in length, width, and height! Yes, if it were a physical city (which it is not) it would reach far beyond the stratosphere. Now let’s look at its length and width. Since I live in the United States, in order to give an idea of how big the new Jerusalem is, I used to say that it would stretch from Boston to Kansas City—almost halfway across the country. But that’s not the best way to think about it. To really understand the meaning of 12,000 stadia, we need to think of that distance as John and others in Bible times would have thought of it. 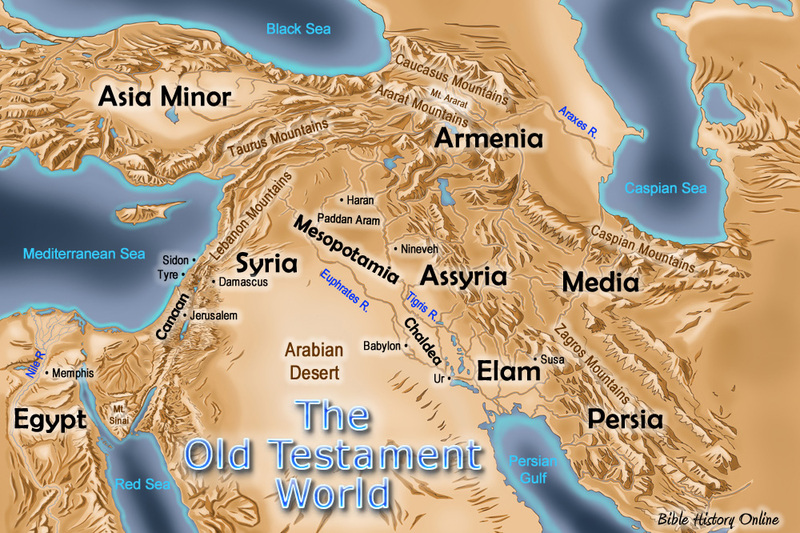 These people lived in the ancient Near East. They didn’t even know North America existed. The horizons of their world were much smaller than ours. Though there was some vague awareness of more distant lands, the world that John knew stretched from Media and Persia (present day western Iran) in the east to Egypt and Asia Minor (present-day Turkey) in the west. It stretched from the Persian Gulf and the Red Sea in the south up to the Black Sea in the north. If we measure that distance, we find that the world John lived in was about . . . yes . . . 1,400 miles across from east to west, and about 1,000 miles from south to north. The new Jerusalem fills the whole world! The new Jerusalem is not some sect or creed or ism or institution that will include only a select few Christians. The new Jerusalem includes all people, all nations, all races, all religions. It is a new spiritual era that reaches, enlightens, and includes everyone on earth who is willing to be a part of it. I believe that we are witnessing the new Jerusalem descending into the world all around us right now. How do you know that the new Jerusalem will not ascend in physical form? Where is you proof? What scripture do use to verify this theory? Also, if God is powerful enough to build this city(as well as the entire universe), is He also not intelligent enough to help us breathe at 14,000 ft? As I said in the article, everything John described in the book of Revelation, he described as happening in heaven, not on earth. He speaks of being “in the spirit,” and of seeing heaven opened. The whole book is describing a spiritual experience. There’s just no good Biblical reason to think that it is going to happen physically. Plus, if it did happen physically, it would either cause the destruction of the earth or it would require God to violate the laws of physics wholesale. God is the one who established the laws of physics, and I don’t believe God would violate God’s own laws. The New Jerusalem is described as being 12,000 stadia, or about 1,400 miles, long, wide, and high. The lack of breathable air would not be the only problem. Even if the city were sealed like a spaceship, with an atmospheric system inside, the sheer size of it would prevent the earth from rotating smoothly on its axis. At 1,400 miles high, it would be over 1/6 the diameter of the earth. We don’t know how massive it would be, but something that big resting on one side of the earth would move the earth’s center of gravity well away from its current center of gravity, which is roughly the same as the center of the spheroid of the earth. This offset center of gravity would cause the whole earth to wobble and shake in its rotation like an off-balance washing machine. The results would be catastrophic. Such a large mass added to the earth’s mass would also throw the earth out of its current orbit around the sun. If a violently off-kilter and shaking earth didn’t destroy all higher life forms on earth, getting thrown out of its orbit would finish the job. That just isn’t how God works. If you still want to believe that it’s going to happen physically, I won’t try to argue you out of it. But the Bible itself describes the whole thing as a spiritual experience, not a physical one. John was talking about spiritual events, not physical events. As I said to Daniel, if you want to believe that the New Jerusalem is going to be a physical city on this earth, you’re welcome to believe it, and I won’t try to argue you out of it. But as I explained in the article and in the various comments, I believe that is a complete misunderstanding and misinterpretation of what the book of Revelation is saying. Does it not occur to anyone that although the New Jerusalem is seen “coming down from heaven”, nowhere does it say In the Book of Revelation that it comes right down on to the earth! Obviously it couldn’t, because gravitational forces would rip it apart, and probably the earth as well. In fact, John actually confirms this because he says he had to be “taken up to a high mountain” to even view it, so it obviously never came down low enough to be seen in any detail with the naked eye!. Either we have to go up or someone needs to come down and collect us! As stated in the article, I don’t think John ever intended to convey that this was a physical event at all. All the events he describes, including the New Jerusalem, are seen “in the spirit” and “when heaven was opened” to him. So it’s going well beyond what John wrote to think that there will be a physical New Jerusalem. Biblical literalists are making a lot of unwarranted assumptions when they teach that there will be a physical city New Jerusalem. The Bible simply doesn’t say that, and it strongly implies that it will not be a physical city. Also, if the New Jerusalem were as massive as described, there would be no need to go up onto a high mountain to see it. It would be very visible from everywhere on earth even if it were orbiting the earth. Consider that the moon is 2,159 miles (3,474 km) in diameter, while the New Jerusalem is described as being about 1,400 miles (about 2,200 kilometers) in length, width, and height, which is nearly 2/3 the diameter of the moon. Presuming that the New Jerusalem is largely open space for people to live in rather than solid like the moon, it would be far less massive than the moon, and would therefore orbit the earth much closer, assuming it traveled at a reasonable speed. This means that for people on earth, it would appear far larger than the moon. No one could miss it, no matter where they lived. Of course, it would have very little gravity even in its outer parts. And it would not be the right shape (a ring or cylinder) to create apparent gravity by spinning on its axis. So unless it had Star Trek style artificial gravity generators, people would float around in it rather than walking, and there wouldn’t be much need for those golden streets. But all of this is pure speculation and goes far beyond anything said in the Bible. Those who think that there will be a physical New Jerusalem just aren’t paying attention to what the Bible actually says. Good article, thanks for the many interesting points. But on the issue of a physical new Jerusalem, I have to agree with Daniel; there’s no reason to assume the new Jerusalem won’t be physical. Christ’s resurrected body was physical, and we’re told that we will be like him in a resurrected body. And who’s to say that the earth isn’t actually flat, like the Scriptures suggest? There may be a limitless plane horizontally, and “outer space” may be nothing more than fiction NASA has cooked up to make us feel even more insignificant than we already do here on earth. We just don’t know what’s out there, and how it’s all going to look. Christ’s resurrection body was physical in the sense that it was solid. But it could also pass through locked doors. So it was not physical in the same way that our bodies are physical. Also, he remained on earth only forty days after his resurrection. After that he ascended to heaven. So his resurrection body clearly was not meant to stay here on earth indefinitely. There is no support in Christ’s resurrection body for the idea that we humans will live forever here on earth after our resurrection. There is also no reason to assume the New Jerusalem will be physical. As I said to Daniel, John’s entire vision is described as being in heaven, not on earth. Nowhere in the Bible does it say that the New Jerusalem will be physical. And if you want to believe that the earth is flat, then there’s probably nothing I can say to dissuade you. It’s not just NASA, but the space agencies of many other nations, such as China, Russia, India, and the countries of the European Union that have been up into space and taken millions of pictures of a spherical earth, and of many other spherical planets and moons. The idea that all these governments, some of which have been mortal enemies during most of our spacefaring years, would collude with each other in a vast conspiracy to deceive the public into thinking that the earth is spherical when it is actually flat is just too ludicrous for words. And now there are private, profit-making companies that regularly send payloads up into space to orbit the earth. Millions of people both in government and in the private sector would all have to be in on the conspiracy. It’s just plain silly. Further, there are thousands of satellites orbiting the earth beaming signals back and forth. Unless you live in a hut deep in the woods hunting and foraging for food using only wood and stone tools and weapons, you use technology every day that depends upon the earth being spherical. But if you’re willing to reject things like this that we know to be true beyond any shadow of a doubt, then you will believe whatever you want to believe regardless of what science or the Bible says. If you insist on believing that the world is flat against massive amounts of evidence to the contrary, and regardless of the fact that the Bible never actually says that the earth is flat, then even if God himself were come down and tell you that the earth is spherical, you would keep right on believing these fantasies about a flat earth. I strongly urge you to stop burying your head in the sand and open your eyes to reality as it actually exists. The Bible does not encourage us to deny the truth when it is looking us right in the face. hi! Laws of nature and science all try to explain what God did not necessarily explain them. God is too powerful enough to do anything beyong human imaginations. Remember John said i saw a new earth and a new heaven for the old one has passed away. How does this new earth looks like? Is it the same as the old one? How can you have a revelation from God without being in the spirit? Remember Daniel? Paul talks even about a spiritual body. Yes, God is powerful enough to accomplish what God wants to do, even if it goes beyond human understanding! And yes, revelation comes from the spirit! All religions will not be allowed in our heavenly Father’s kingdom. Only God’s true children will inhabit New Jerusalem. Not only the Christian nations, but all the nations. Read also Matthew 25:31-46 on how the people of all the nations will be judged for eternal life or eternal punishment. You have taken Revelation 21:24-26 and Matthew 25:31-46 out of context. In your statement of the New Jerusalem you included all people, all nations, and then added all religions. That is where you made your mistake. Go back to those references you used to justify your reply to Son of Man, and you will see that, yes, all people from all over the world of every tongue, nationality, country and the like WILL enter into the Kingdom of Heaven IF THEY HAVE RECEIVED JESUS AS THEIR SAVIOR. There is no other option. In both Scripture references you give, the “all people” who enter in takes place after the judgment. There is another judgment for the righteous, but that has to do with something else entirely. Jesus said He was the only way to the Father. Either that is true or Jesus is a liar. And if Jesus is a liar you might as well throw out Revelation, since it was given BY Jesus Christ. Thank you for stopping by, and for your comments. Before you comment further, I would ask you to read our comments policy. Meanwhile, I will also respond to some of the points you made in your two other comments that I did not approve for public viewing. It is you, my friend, who are adding to the words of the prophecy of the book of Revelation, and to the rest of the Bible. Therefore you have no excuse, whoever you are, when you judge others; for in passing judgment on another you condemn yourself, because you, the judge, are doing the very same things. You say, “We know that God’s judgment on those who do such things is in accordance with truth.” Do you imagine, whoever you are, that when you judge those who do such things and yet do them yourself, you will escape the judgment of God? Or do you despise the riches of his kindness and forbearance and patience? Do you not realize that God’s kindness is meant to lead you to repentance? But by your hard and impenitent heart you are storing up wrath for yourself on the day of wrath, when God’s righteous judgment will be revealed. For he will repay according to each one’s deeds: to those who by patiently doing good seek for glory and honor and immortality, he will give eternal life; while for those who are self-seeking and who obey not the truth but wickedness, there will be wrath and fury. There will be anguish and distress for everyone who does evil, the Jew first and also the Greek, but glory and honor and peace for everyone who does good, the Jew first and also the Greek. For God shows no partiality. Here Paul says plainly that there will be glory, honor, and peace for everyone who does good. And he does not leave any room for doubt that this applies to non-Christians. He says, “The Jew first, and also the Greek.” Jews are not Christians. “Greeks” (pagan polytheists) are not Christians. And Paul says that they will have glory, honor, and peace if they do good. Further, he says that Gentiles, which includes all people who are not Jews or Christians, will be judged by Jesus Christ according to their secret thoughts, and according to whether they have lived according to the law of their conscience. In this saying this, Paul is simply following the teaching of Jesus Christ. In Matthew 25:31–46 Jesus says that the people of all the nations who do good deeds for their fellow human beings, as judged by Jesus Christ, will go to eternal life, while those who do not do good deeds for their fellow human beings will go to eternal punishment. Read it for yourself. Jesus doesn’t say a word about any requirement that the people of all the nations must believe in him in order to go to eternal life. Only that they must do good deeds for their fellow human beings. Jesus Christ says that the people of all the nations will be given eternal life if they do good deeds for their neighbors in need. The Apostle Paul says that Jews, Greeks, and Gentiles will be given glory, honor, and peace if they do good, and live according to their conscience. David Brollier says that only those who have received Jesus Christ as their savior will be saved. If David Brollier disagrees with Jesus Christ and with the Apostle Paul about who is saved and who is damned, who do you think we should believe? You are in error, my friend, because you do not know the Scriptures or the power of God. I urge you to abandon the false human teachers who have filled your mind with unbiblical falsities, substituting human traditions for the Word of God. Learn the true teachings of the Bible from the lips of Jesus Christ himself, and from his Apostles. Then you will know the truth, and the truth will make you free. Yes, please do read Revelation 2–3, the so-called “letters to the churches.” But they are not actually letters to the churches. You will see, if you read carefully, that every single letter is addressed, not to the churches, but to the angels of the churches in Ephesus, Smyrna, Pergamum, Thyatira, Sardis, Philadelphia, and Laodicea. Not a single letter is addressed to the church itself, but to the angels of those churches. Now, angels are spiritual beings. And the letters are addressed to the angels of those churches, meaning to their spiritual guardians. The very example you give provides one more proof that the entire book of Revelation is about spiritual events, not physical events, and that it is addressed to the spiritual state of humanity, not to kings, nations, and empires here on earth. It is you, my friend, who are adding to, and subtracting from, the book of Revelation by contradicting its own words when it says that all of these things were witnessed and took place in the spirit and in heaven. You are contradicting the book of Revelation’s own words when you claim that these events will take place here on earth. Read the Scriptures for yourself, my friend. Read the words of the Lord Jesus Christ in the Gospels and in the book of Revelation. These are the words of eternal life. Abandon the teachers of the false doctrines of Martin Luther and John Calvin, and listen to the words of life from the Lord’s own lips, and from the lips of his Apostles. the new earth and the new heaven it is a transformation from the old spiritual realm which was corrupted by evil spirits so as I am writing now the old spiritual realm it is being destroyed by the Lord now, there is outpouring fire of volcano that is overflowing right now melting the elements of the spiritual realm of the past age, the wrath of the Lord is released against all evil spirits whom polluted the physical realm with evil…….. Thanks for stopping by, and for your comment. Yes, the New Jerusalem is a spiritual event that is happening all around us right now, as the spirit of the Lord comes to people on earth in new and more spiritual ways. I’m not quite in agreement with your statements base on the argument of a stadia measurement of the city. The Bible says that ..and I quote….He measured the city…it does not say he measured only one side of the city. If I were to measure your house and told you I just measured your house and it is 2,300 ft. Would you agree that I took the time to measure it completely…is it not possible that the complete measurement of the city equals to 12000 furlongs. Revelation 21:16. The city is perfectly square. Its perimeter is 12,000 furlongs, or 1,500 miles (a furlong is 1/8 mile). It is 375 miles long on each side. Also is the following correct…”And he measured the wall thereof, an hundred and forty and four cubits. … And the building of the wall of it was of jasper.” Revelation 21:17, 18. A wall 144 cubits, or 216 feet high (a cubit is 18 inches), surrounds the city. The wall is made of solid jasper, with radiance and beauty beyond description. Think of it! Nearly 20 stories high and solid jasper! To me a city that is made of these materials and size is speaking in literal terms not necessarily spiritual terms. I don’t think God would allow John to see something that was real and later tell Him it was all spiritual only. Let’s not forget that…Few shall be chosen! God knows exactly how big and how many will fit in His new Jerusalem! Not only that but God knows perfectly well how to balance the scales of the universe as the creator of the universe he is in complete control of all things! Thank you for hearing me out! and GOD Continue His blessings on you! However, about the measurements of the city, there is no word for “perimeter” in the original Greek, and it would be very unnatural to translate Revelation 21:16 as saying that. I’m not aware of any Bible translation that interprets that measurement as a measurement of the perimeter of the city. The clear intent of the Greek is to say that the city is 12,000 stadia (about 1,400 miles) on each side, and also 12,000 stadia high. And even if that were what the Greek means (which it is not), a city 375 miles high would still stretch far beyond breathable atmosphere, and it would still cause the destruction of the earth as it threw the earth’s rotation off axis and shook the earth to pieces. As for the measurement of the wall, the Greek text does not say exactly what it’s measuring. Most Bible scholars believe it is referring to the height of the wall, but another common measurement of the walls around ancient walled cities was how thick they were, and thus how capable they were of resisting battering rams and other means of breaching them. So although the text is likely to be referring to the height of the wall, we can’t say for certain that it’s referring to the height and not to the width. But to the larger point: Contrary to what you’re saying, there’s no reason at all, based on the text of Revelation itself, to think that the city in John’s vision was meant to be a literal city. As pointed out in my article, “Is the World Coming to an End? What about the Second Coming?” throughout the book of Revelation John regularly speaks of being in the spirit when he saw the things he describes in that book. See, for example, Revelation 1:10, 4:2, 17:3, 21:10. So the text itself presents all of these things as taking place in the spiritual world (i.e., in heaven), not in the physical world. Those Christians who think that there is going to be a literal New Jerusalem coming down out of the sky onto the physical earth simply aren’t paying attention to what John himself says in the book of Revelation. Sure, all of this could happen. But it assumes that God did a bad job of designing the world and the universe the first time around. I don’t think God made a mistake in designing the universe, and I don’t think that God will have to fix that mistake the second time around. I believe God designed the universe exactly as God wanted it, and that there is no need for an Earth 2.0 to upgrade or fix the mistakes of the first one. As I said to Carlos, everything John saw, he saw in the spiritual world, with his spiritual eyes, not in the physical world with his physical eyes. There is no good biblical reason to think that the things he saw happening spiritually in the spiritual world are going to happen physically in the physical world. The whole idea that Revelation is talking about future physical events has no basis in the book of Revelation itself. But once again, if you want to believe that these things are going to happen physically, that’s your choice. But I predict that you and others who believe as you do will be waiting a very long time (like, forever) for any of these things to take place in the physical world. God can do whatever he desires. Logic always makes God subject to laws of physics, when God doesn’t have to subject to rules he created. Jesus walked on water. God can create a literal city this size. You are saying that God can’t do all things when he vs created the heavens and earth from nothing. Remember his mind is as far as the heaven and earth in comparison to ours. You will never rationalize his capilbilities. If God were to violate God’s own laws, then God would be like a kingdom divided against itself, which is laid waste, and like a city or house divided against itself, which cannot stand. God does not make laws and then decide those laws were mistaken, violate them, and make different laws. God’s laws are not like human laws. God’s laws are eternal and universal. Hi Lee…Regarding not being able to breathe because of 1400 mile height of the New Jerusalem. We are given an incorruptible body. Jesus being 100% God, and yet 100% man, was transfigured, and He sits at the right hand of the Father. The word says that we will be like Him. So with that in mind, we should not discount what John saw in the spirit, and think that it could not happen in the physical. The Lord returns to earth AFTER it is purged from sin. Revelation speaks of the angels coming first, to kill the unbelievers and gather them (“tares”) to a place where the birds of the air will feast on their corpses. Then fire comes upon the earth. Now, you tell me, who will be left? Like Daniel in the fiery furnace who was protected by the fire because Jesus was there with him, so shall it be for the righteous. THEN the New Jerusalem will (imho) “hover,” above the earth. And ONLY those who are righteous will be able to travel back and forth from earth to it. Best not to mock John for what God showed him. God bless all who hear what the Spirit says. Of course, we could engage in various mental exercises to try to explain how all of these predictions about the Last Days and the New Jerusalem are going to happen physically in this world. However, if you read the book of Revelation carefully, you will see that John saw all these visions taking place, not here on earth, but in the spiritual world. He says that “heaven was opened to him” and that he was “in the spirit.” So everything he saw took place in heaven, meaning the spiritual world, not here on earth. It doesn’t make much sense to think that everything John saw it the spiritual world is going to take place in the physical world. This is the basic mistake made by all of the Christians who think that these things are going to take place physically on this earth. Those Christians simply aren’t paying attention to what the book itself actually says. Thanks for sharing your observation Lee, et al. Once we realize that the book of Revelation is talking about spiritual events rather than physical ones, these problems and quandaries disappear. The “fire” in the book of Revelation is not literal, physical fire, but rather the spiritual fire (in a negative sense) of burning anger and hatred of evil people against all who do not bow down to them and worship them as gods, or who get in their way in any way whatsoever. This evil spiritual fire destroys their souls spiritually in that they become burnt out cinders of human beings, living only for themselves instead of for others as they were created to do. They do continue to exist, but it is not a truly human existence, so they are said to be spiritually dead. All such people remain outside of the New Jerusalem, which is the home of people who are spiritually alive, meaning who love God and love their neighbor, and show that love through daily acts of kindness and service to their fellow human beings. It is interesting your interpretation of all things in Rev. Being “spiritual” not literal. Certainly John was caught up in the Spirit realm to view events that would occur “on earth”. But to assume the events would be spiritual vs. Literal is a remarkable stretch to the point of error I believe. God is creating a New Heaven and New Earth. To apply current earth rotation limitations for a literal New Jerusalem is presumptuous at best. But where in the book of Revelation does it say that the things John saw in the spiritual world would take place on earth? Keep in mind that the Greek words usually translated “heaven” and “earth” mean, in their more ordinary sense, “sky” and “land.” When John saw a “war in heaven” (Revelation 12:7-18), and Michael and his angels fought against the dragon, what John was seeing visually was a war in the sky, and the dragon being thrown down to the land upon his defeat. And John is seeing all of this “in the spirit,” meaning in the spiritual world. So both “the heaven” (the sky) and “the earth” (the land) are the sky and the land of the spiritual world, where John saw all of these events taking place. There is certainly no good reason to conclude from the text of Revelation itself that any of this is going to take place here in the physical realm. That’s not where John saw it happening, and nowhere in the book does it say that it is going to take place in the material world. In fact, it is precisely the other way around: It is a remarkable stretch to the point of error to ignore John’s own words about where he saw these events taking place, and to jump to the conclusion that these things will all take place on earth. Those who believe this simply aren’t paying attention to what the book says. Lee thank you for engaging in conversation with me. Being in the spirit John sees a “vision” of things that will occur. To categorize this to mean the events as occuring in the “spiritual realm” instead of a warning to earthly inhabitants of events literally coming upon earth is problematic from the onset. A warning is a warning to those facing literal judgement on earth. Having read Rev. several times it is clear that a New Heavens AND a New Earth will be the residence of God on earth in a city called the New Jerusalem. It will have gates and streets and people walking in and out. To take away the meaning of the literal warnings of literal events coming upon the inhabitants of this world given by God in Revelation may incur the Judgement given in Rev. 22:19. You’re welcome. And I do understand that you and many other Christians believe that the things described in the book of Revelation are going to happen literally in this world. However, that is simply an opinion. The book never actually says that these things are going to happen literally and physically, in this material world. It simply describes the events as things John saw while he was in the spirit, and when heaven was opened to him. You are, of course, welcome to your opinion that these events will take place physically and literally. But it is just that: an opinion and a human interpretation. It has no particular basis in the book of Revelation itself. A new heaven and a new earth is now. The old covenant is passed. Amen. The new covenant has come. The new heaven and the new earth. Thank you Jesus!! Since then I receive a lot to go to Zechariah 4. When I hear this I open right to the chapter. Coincidence? I don’t believe so. One thing this morning did JUMP out at me. Verse 6 ” Then he answered and spake unto me, saying, This is the word of the LORD unto Zerubbabel, saying Not by my might, nor by power, but by my spirit, saith the LORD of hosts. The rebuilding of the temple which has begun would be accomplished not by human hands but by the POWER OF GODS SPIRIT. Amen. IT IS FINISHED. I ask please pray in agreement with me on what was spoken to me. I won’t comment on the messages you received since they are personal to you, and only you can know their meaning for you. But I’ll keep you in my prayers, as you request. And whatever messages you may receive, keep reading the Scriptures, because that is where God especially speaks to us. Godspeed on your spiritual journey! Does Jesus not dwell within believers? Isn’t HIS kingdom within you? Let’s look at Rev. 22:15 For without are dogs, and whoremongers, and murderers, and idolaters, and whosoever loveth and make a lie. Are they still not among the kingdom? Oops, looks like I missed this comment when you first made it. Sorry about that! I agree that the kingdom has come—for those who accept it—and that it is within, or as some translations say, among us (the Greek word can be translated either way). The people who are outside are there by their own choice, because they have rejected the kingdom of God by their selfish and evil actions. I believe our minds as people are too simple to understand the very complex and eternal plans of God. Therefore no one on earth is qualified to boldly make a claim that the New Jerusalem is in fact not a real physical city or that it is a real physical city. Some questions are best unanswered until we see Jesus in the days to come. However I do appreciate your 1,400 miles measurement conversion. By the same token, no one on earth is qualified to boldly make a claim that the New Jerusalem is a physical city when the Book of Revelation never describes it as one. Instead, it says that everything John saw, he saw “in the spirit” and “when heaven was opened to him.” The idea that it is a physical city is merely humans jumping to conclusions without carefully reading what the Bible actually says. You won’t need air in our new bodies – they’re eternal. Thanks for stopping by, and for your comment. However, eternal bodies are still bodies. That means they still need food, air, water, and so on. Otherwise what would be the point of living in a city, with all of the infrastructure that a city has to supply our human needs? What would be the point of having a body at all? Why wouldn’t we just be wispy things floating around here and there? The Bible truth cannot be half true it’s either completely true or completely false. Do you ignore that the new Jerusalem that John saw in a vision was a prophetic event of things to happen seen in a vision? (Yes, i suppose you know it!). This particular event of the new Jerusalem descending is made of the Bride of Jesus-Christ coming down on a new earth from God (Heaven) not as old creatures but as new creatures in their glorified body (Theophany) which are celestials bodies just like angels have got some entirely free from this actual world natural conditions and laws completely corrupted by sin when Eve fall in Eden to let death plant it roots into everything as we know it today. The raptured Bride of the Lord can breathe beyond the atmosphere nothing can limit her simply because she’s God Himself in another form after that the marriage of the lamb has already taken place! The countenance of God is with her, God dwells within them. As I said, in the beginning, a single line of the scripture wrongly interpreted makes all the storyline false. I pray that God will open your understanding of His Word to see what I am pointing to your attention here.